Massive heatwaves have hit all but two of Earth’s continents. Luckily for the penguins, it’s still cold in Antarctica. But, not as cold as it used to be. The levels of sea ice are the eighth-smallest they’ve been since records began in 1979. The arctic is warming twice as fast as the rest of the planet and sea ice levels there are the fourth smallest on record. Warmer temperatures in these regions are adding to the continued presence of hot, dry weather across the world. The polar jet stream, which pushes air and weather currents around the northern hemisphere, is being weakened by warm air coming from the arctic. Typically, warm air from the equator collides with cold air from the arctic powering the jet stream and pushing along heatwaves and cold fronts. The smaller the difference in temperature, the weaker the jet stream and the slower it travels. This results in heatwaves that linger, rather than moving on. 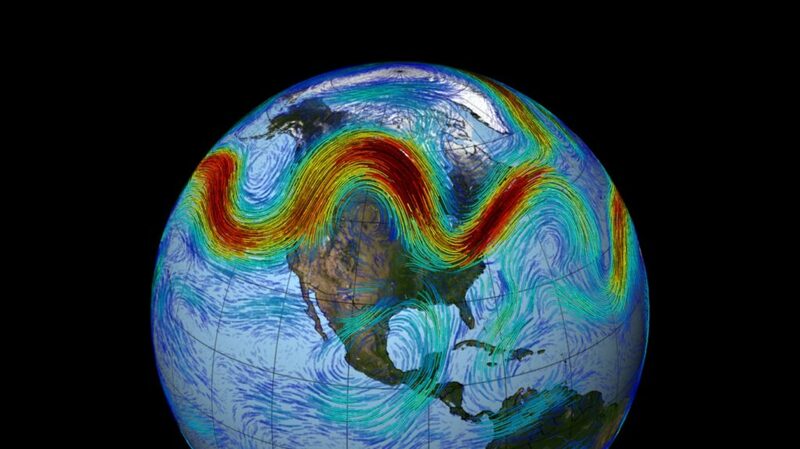 The computer generated-image from NASA (below) shows the path of the polar jet stream. Red lines indicate fast-moving currents and blue lines represent slow-moving ones. The heatwaves have been so prevalent that 2018 is currently on track to become the fourth-hottest year on record. The top five hottest years have all occurred since 2010, with 2016 in first, 2015 in second, 2014 in third and 2010 in fifth place, according to the National Atmospheric and Oceanic Administration. If 2018 doesn’t end up making the list, fifth place would go to 2013 and 2010 would remain in fourth. The bottom line is that temperatures are on the rise and have been breaking records for nearly a decade. Meanwhile, at least five European countries are battling wildfires of their own. In Greece, over 90 people have perished from fires just outside Athens. “Serious indications” of arson were reported by investigators of the fires. 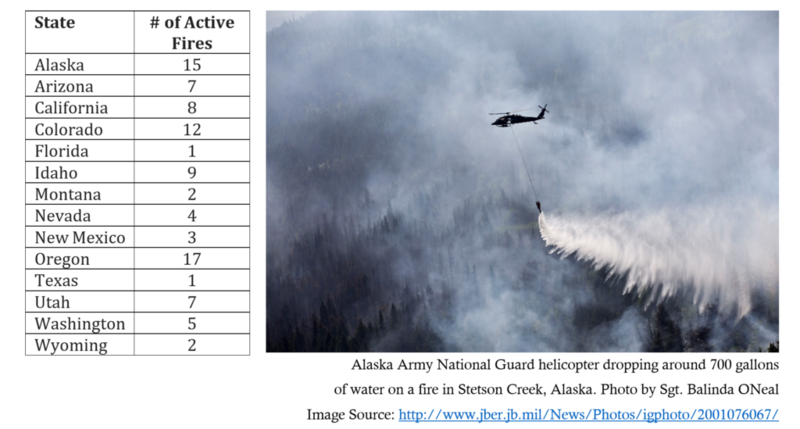 It seems many fires were started simultaneously in forested areas on July 23. Fueled by high-speed winds, the fires quickly raged out of control. In Sweden about 62,000 acres have been burnt by 40 wildfires that are spreading across the country. At least a few of the fires were caused by lightning strikes in areas that were drier than usual from the heat. In Finland firefighters are attempting to contain several fires while the risk of more on the way rises. 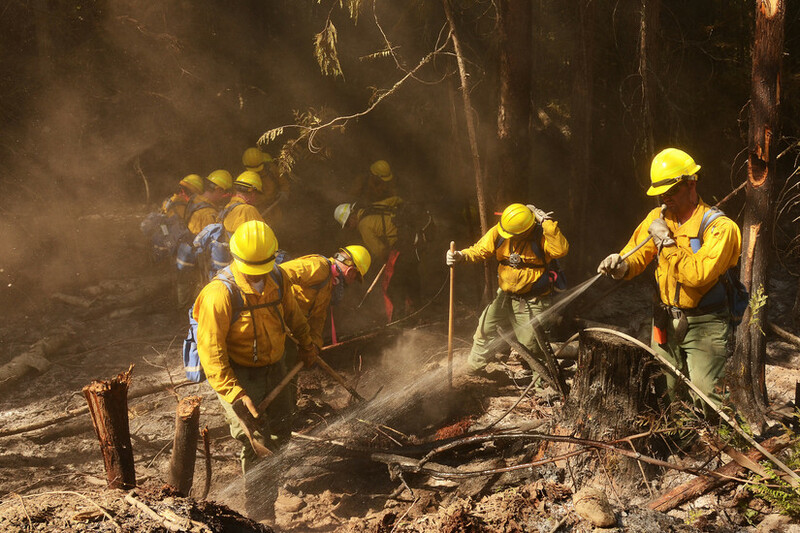 In Norway several wildfires across the country began in May and although the fires are now contained, one firefighter lost their life due to injuries sustained while trying to extinguish the blaze in mid-July. In Latvia more than 1,600 acres have burnt from fires beginning July 17. Wildfires change the composition of the land they have ravaged. In some cases, the location and severity of the fire lead to a build-up of loose debris and a lack of root systems to keep the soil in place. This means that the next rainstorm can bring a host of troubles to the region causing events like flooding, slope failure, debris flows, and rock falls. Precipitation is notoriously difficult to predict, especially over long periods of time, but summer won’t last forever. If you are in an area with a high risk of landslides, make sure you have an emergency evacuation plan in place in your home. Keep an emergency preparedness kit stocked and easily accessible. These kits can be purchased, many online stores offer packages for up to six people with additional options for pets. If you opt to create one yourself, be sure to include things like water, food, a battery powered radio, and a flashlight. 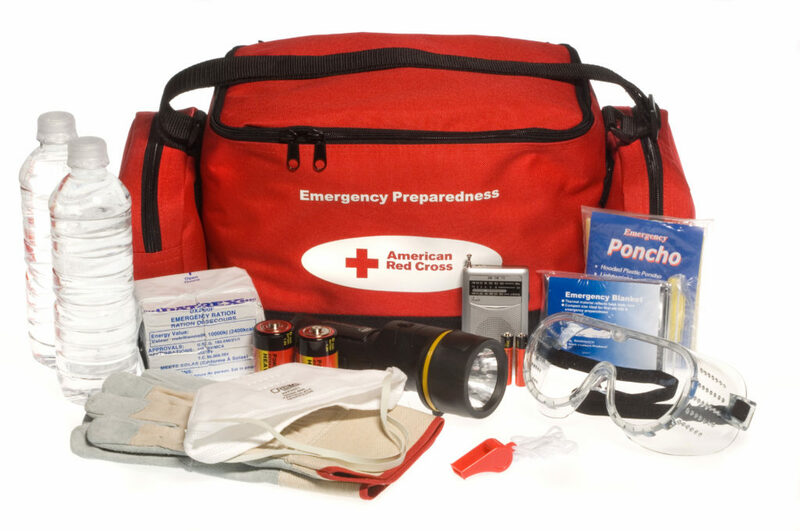 Visit our DIY guide for tips on making your own emergency preparedness kit. You may also want to consider adding a few luxury items like a package of your favorite cookies, a card game, or a bottle of wine. If you must evacuate or you get stuck, chances are you’ll be glad for the pick-me-up. Just be sure to remain alert in case further action is required.